Now on its seventh year, the Miss Earth Japan organization has finally evolved into a more inclusive pageant system where prefectural winners are first selected to compete for the national crown. With 13 finalists this year, Miss Earth Japan is getting more exciting and popular as hundereds of young Japanese women auditioned to the regional finals. On July 30th at Tokyo’s Iino Hall, these girls will compete in the dance category, swimsuit, evening gown and the final speech. With all these being said, here are the earth warriors whom we believe are shoo-in for the crown. 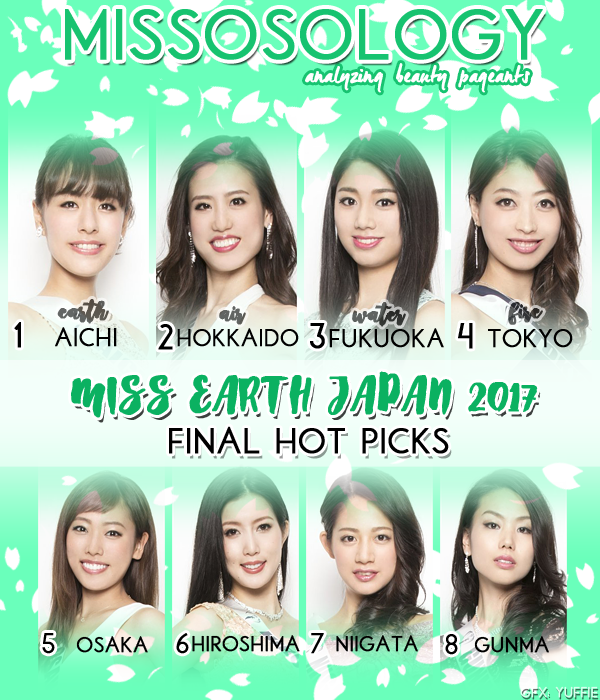 Miss Earth Japan 2017 has to be given to the youthful beauty from Aichi. Kasumi Hayakawa seems to have the vibrant personality that is well appreciated at Miss Earth. Not only that, she is pretty cute and has the idol-like vibe that is always being favored by the MEJ organization. Miss Earth Aichi was one of the most competitive regional competitions of Miss Earth Japan, and the fact that Kasumi managed to win it despite her age shows that she has what it takes to perform on stage and be a major standout. Hokkaido‘s Rina Okada was actually the first to be crowned as as Miss Earth finalist. Her beauty is actually fit for pageantry as she registers well on photos. The huge teeth and beautiful smile remind us of the good old days of pageantry. Usually, with such asset, judges at Miss Universe during the 1980s and 1990s would love it. But Rina is also one of those who is really active on her social media and is very committed to win the title. 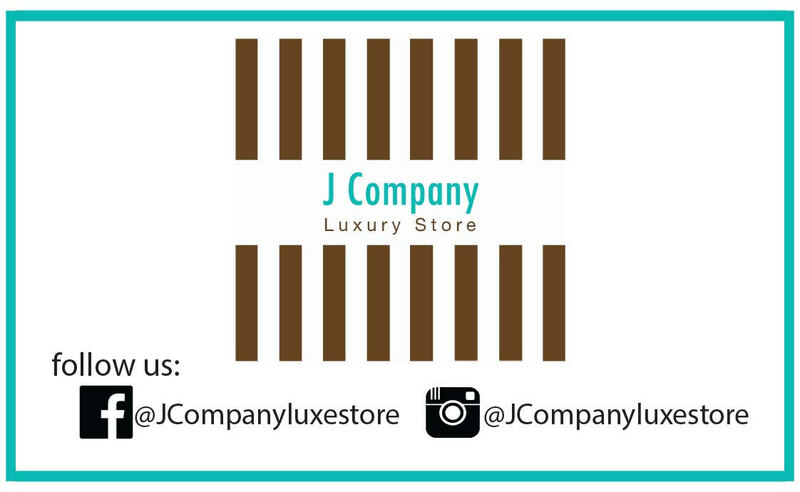 Miss Air Japan is what we predict for her, but we will be happy if she gets the Miss Earth Japan title as well. 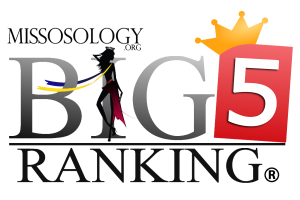 A major favorite among Filipino fans of Missosology is the bet from Fukuoka, Yasuyo Saito, whom we consider as the “Face of the Pageant”. That beautiful face is very hard to ignore. However, we regret that aside from her facial beauty, we don’t know that much about Yasuyo, which is very unfortunate. 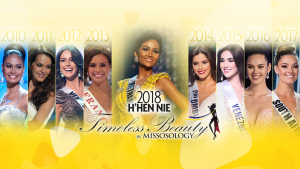 In this age of multimedia and social networking, it won’t hurt if these aspiring beauty queens would promote and market themselves well to the public. We certainly hope that Yasuyo will surprise us on Sunday. 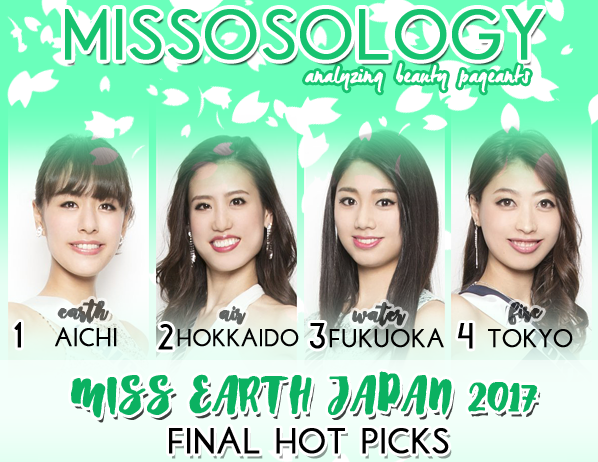 If she wins Miss Earth Japan, and not Miss Water Japan which we predict here, expect a huge welcome for her in the Philippines at Miss Earth 2017. Atsumi Tsukamoto, who is representing mighty Tokyo, completes our Top 4 and is predicted to get the Miss Fire Japan title. 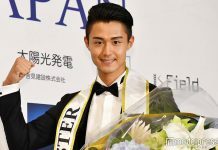 This model is actually dating last year’s Mister Supranational Japan Rikuki Wakabayashi, and is visible in the Tokyo modeling scene. Tokyo had the most number of contestants during their own regional contest, and it was Atsumi who emerged as the winner. If the three delegates above will fail to deliver what we expect from them, we won’t be surprised if Atsumi gets the main title. Osaka‘s Saki Matsumoto can be a spoiler and may take the top plum. She registers well in photos and seems to have an aura of TV host. Meanwhile the angelic beauty of Miss Hiroshima, Yaya Watanabe, may be favorable to the Japanese judges. Niigata‘s Shiina Otsuka is the most visible girl in multimedia and should not be ignored. And for 8th place, we have Miss Gunma, Miroi Narita, who looks pretty in her photos.